I got an email like this some days ago from Autodesk CER (Customer Error Reporting). This shows that it does help to send in the error reports when your Autodesk product crashes. 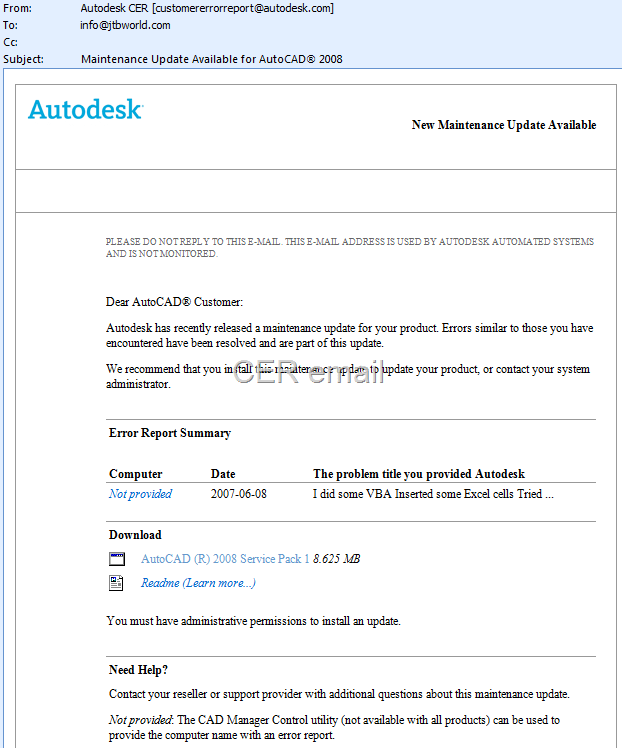 Autodesk has recently released a maintenance update for your product. Errors similar to those you have encountered have been resolved and are part of this update. We recommend that you install this maintenance update to update your product, or contact your system administrator. The only wish I have is that the full problem title and description would be included. I can hardly recall what this was about from the partial title.